TSTRANSCO Junior Lineman Notification 2018 published. Apply through online for 1100 TSTRANSCO Junior Lineman (JLM) Posts. Online applications will be available from 5th January 2018 to 20th January 2018 @ tstransco.cgg.gov.in. Get complete details of TSTRANSCO Junior Lineman Recruitment 2018 on this page. Transmission Corporation of Telangana Limited Vidyutsoudha invites applications from qualified individuals to the post of Junior Lineman. 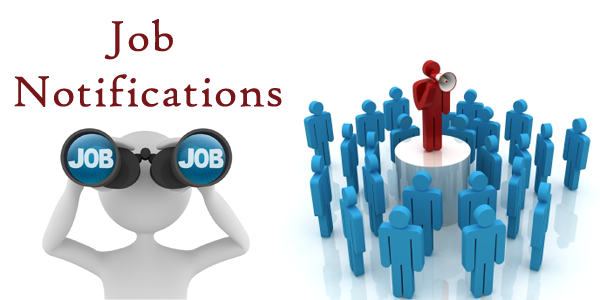 Telangana TRANSCO announced that there are 1100 JLM Vacancies through TSTRANSCO Notification with advt no. 04/2017. So, the candidates who are dreaming of electricity department jobs can utilize this golden chance. TSTRANSCO Board accepts only online mode applications. The commencement of online application forms opens on 05.01.2018 @ tstransco.cgg.gov.in and the last date to apply is 20.01.2018. Go through the article for complete details regarding TSTRANSCO Junior Lineman Notification 2018 like educational qualification, age limit, selection process, application procedure, essential dates, etc. Interested aspirants be ready to apply. As soon as the TSTRANSCO Apply online link gets active, we update it on our page. So, keep in touch with this page. The candidates will be selected for the post of Telangana TRANSCO Junior Lineman through written test. TSTRANSCO JLM Exam is going to held on 11th February 2018. Hence, hurry up guys as the time span is very less don’t waste time for searching syllabus and previous papers. For easy access, we have provided syllabus and Model papers for TSTRANSCO JLM Recruitment 2017-18 in this article. Check them out and start preparation. Refer official TSTRANSCO Notification 2018 for details of circle-wise and community wise vacancies. The applicant possessing following eligibility criteria such as age limit and educational qualification is only eligible to apply for TSTRANSCO Junior Lineman Recruitment 2018. Candidate completed SSLC/ SSC/ 10th class with ITI in Electrical Trade/ Wireman or two years vocational course in Electrical Trade can apply for TSTRANSCO JLM Recruitment 2018. The contenders having the age limit as mentioned above can apply for TSTRANSCO Junior Lineman Recruitment 2018 as on 01.07.2017. Moreover, upper age relaxation applies to particular category aspirants. Check below sections for further more details about Telangana State TRANSCO Recruitment 2018 like essential dates, selection procedure, application fee, and pay scale. The appointed candidate for the post of TSTRANSCO Junior Lineman (JLM) will get salary as mentioned above with extra incentives provided by the TS State Govt. The aspirants will be selected for TSTRANSCO Junior Lineman Post based on their performance in the WRITTEN TEST which is going to be held on 11th February 2018. Interested candidates need to pay the following fee through online to apply for TS TRANSCO JLM Recruitment 2018. You can submit the online application form only after successful payment of the fee. However, SC/ ST/ BC/ PH aspirants are exempted from paying the examination fee. The homepage of TSTRANSCO gets open. Firstly, pay the prescribed fee as mentioned in the TSTRANSCO Notification. On successful completion of payment procedure, click on the apply online link next to “TSTRANSCO JLM Posts” on the home screen. Enter personal details, payment details, upload your photo with signature and click on ‘Submit’ button. On submitting the application form, an acknowledgment in pdf format is displayed on the screen. Finally, download it and take the printout for future use. For further more clarifications refer the official TSTRANSCO Notification 2018. Meanwhile, check Entrance Exams page for more updates regarding TSTRANSCO Junior Lineman Recruitment as well as for Latest Employment News 2018.